Akah: I have a friend who I now consider a guiding angel. Because she has invited me to important places in my life. Places that became a deep part of my healing and growth on the path of knowing my true self. She began asking me to attend a kundalini yoga class with her in 1995. My negative mind attached to some reading I had done on tantra, associating kundalini with sexual energy and my fear took it from there. I thought it was some ritual thing that would threaten my connection to God. I finally went in 2004, April 8th to be exact, a Guru Singh class on a Thursday night at Yoga West. Then a Guru Nam (Joseph Michael Levry) workshop on the following Saturday. Something came over me when I realized that music as vibration is a very integral part of unifying the human and higher self (yoga). What inspired you to become a Kundalini Yoga teacher and what keeps your passion for teaching going? Akah: This question is connected to the above story of my introduction to Kundalini Yoga. Because, My teacher and mentor, Max, who Angelina introduced me to as well, trained me to be a healing minister. He made his transition on June 27th, 2004. It was my first time experiencing someone in my life so influential and supportive of my growth into serving God by serving humanity. My exposure to Kundalini Yoga also allowed me to learn about the man who brought Kundalini Yoga to the United states, Yogi Bhajan, who to me was similar to Max. Then in October of the same year, Yogi Bhajan dropped his earth coat and moved on to the other side as well. I believe in honoring the journey of a being from birth to rebirth. Knowing that on the journey of life the generating and organizing energy of the universe knows how to organize space and time. Another words when its time to drop our earth coat its time. Therefore, I like to think I am not self centered when someone has there going home moment. My natural tendency is consider how I can support their journey. As well as, how can I honor, what they represent to me? How can I allow my behavior to activate their presence in my life experience? When I learned about Yogi Ji’s transition I was selfish in my grieving. All my principles around someone making their transition and grieving went out the window. I thought, now, I will not have the experience of the master guiding me like I heard in the stories told by Guru Singh, Krishna Kaur, and Gurmukh. After Max left this realm, “I wondered what will I do now?” I then held on to the stories I heard in Kundalini Yoga class told by the above teachers like a life preserver in the deep ocean. Four months later, Yogi Bhajan gathered his Soul and moved on from this physical existence. I felt the deepest void that I had ever felt on the journey of what I call, “recovering awareness of my true identity.” The “void,” felt like there was no longer a life preserver to hold onto. At the time I was just floating in darkness not knowing what to feel. Percieving i had no ability to sense the path of fulfilling my life purpose. I felt abandoned. I realize this is a familiar theme in my life story. When I awakened from my grieving pity parlor i realized something Krishan Kaur said about Yogi Bhajan’s intention for coming to America. She quoted him as saying “I came to create teachers not to gain followers.” I realized my life path was not about sitting at the Master’s feet, but more about becoming a Master. The journey to this conclusion of commitment to mastery, was much longer than the sentences in this blog. I committed to teacher training in 2009 and that was the day that I accepted the journey of becoming a Master of my true identity. 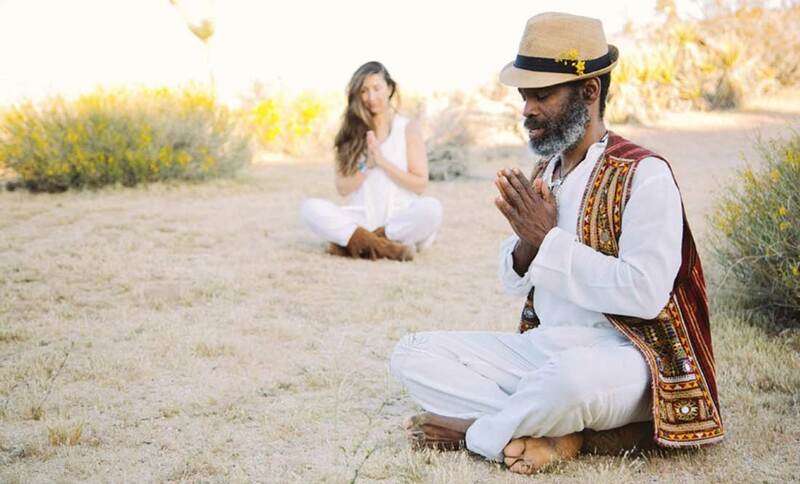 Akah: I love teaching at Sat nam fest because of the container of appreciation for the Kundalini yoga teachings and the Soul that dwells within. Because of the intentions of SNF, a tribe gathers that Is committed to experiencing the fullness that life has to offer. I love the sober environment and the family reunion atmosphere that is very nourishing to me and my family. Akah: To be in the company of like hearted people in pursuit of human excellence through yogic teachings is nourishing and inspiring to me. This community also allows me create beautiful memories with my family. We are able to create memories like a legacy with my daughter where she can experience people who pursue a relationship with their true Self. 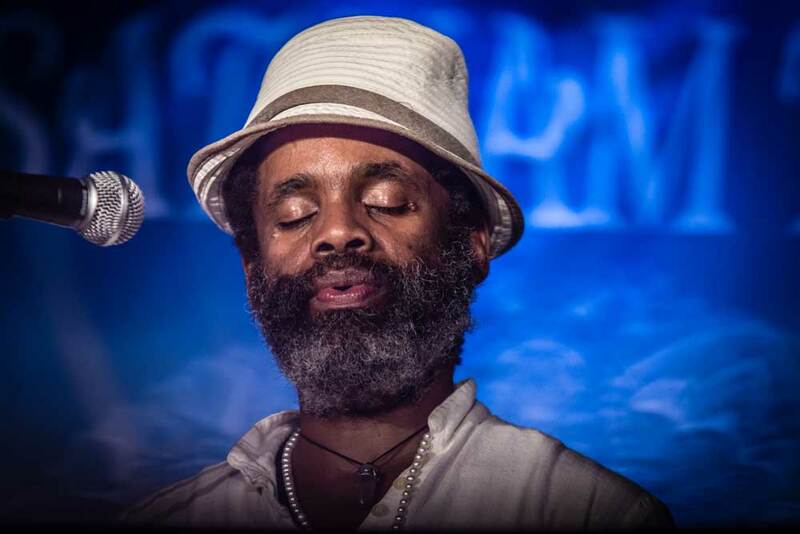 Akah: Connecting with other beings who are devoted to spreading the sacred sound current. As well as, like hearted people on the yogic path of reclaiming their true identity and willing to serve the evolution of humanity. Akah: Maybe when I grow up I will have some hobbies. At this time on my life journey from my perspective I am not engaged in hobbies as all of my activities are intended to serve my Soul and fulfill my destiny. I breakout down like this 80% of my activities, I love and deeply enjoy what I do. The other 20% that I don’t like makes me stronger, therefore, I love these unpleasant activities as well. Activities that are part of my serving my Soul are qi gong, playing music, preparing nutritious foods, cleansing, making herbal formulas and hiking and going to the hot springs with my family. Akah: There are so many ways in which I am inspired and guided to share what I teach. Spirit Voyage is my spiritual family. We share the same values and responsibility to serve humanity. Just being in meditation about teaching at SNF inspires what I teach. My intention is to serve and be a channel of energy for the teachings to flow through and nourish these Aquarian beings who come the the festival. The challenges i face in my life are my teachers that bring me lessons to learn. These same challenges inspire me and show me what I need to teach. I am also inspired by my family, and what i learn from my spiritual counseling practice. My quest to understand the way to reclaim our authority of our greatness we were created to be. Akah: Mantra and Kriya for me meet needs that help me navigate this world in a healthy manner. Consequently, for me different mantras and different kriyas serve my Soul in different ways at different. This year I am spending most my time with 10 bodies, nabhi kriya and the mantra SA-TA-NA-MA.